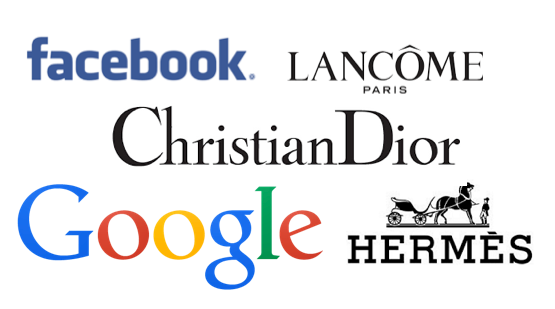 A logotype is a combination of a trademark (visual symbol of the brand), and the name of the brand in distinctive type. Ideal logotypes are easiest to read when they are horizontal (2.25 units by 1 unit) due to the fact that the human eyes are side by side. Having this size logo looks better on retail establishments, letterheads, brochures, anything. 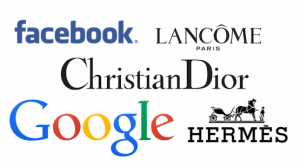 So, you have to find that perfect brand name and best way to convert that into a usable logo. What do they have in common? Their logos are easy to read! What good is a “creative” logotype if you can’t even read what the brand name is? Once you settle on that perfect logotype, make sure you have it in the essential file formats: EPS (printing), JPG/GIF (website)! Logo creation is a fun and exciting task and here at Hype Strategic, we would love to assist you in finding your company’s perfect logo!